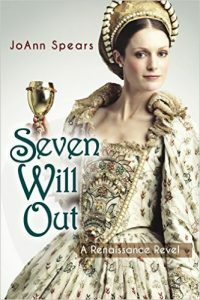 Thank you to JoAnn Spears, author of Six of One: A Tudor Riff and Seven Will Out: A Renaissance Revel, for joining us today with this guest article. Anne Boleyn was first portrayed in film during the silent film era; once in 1912, and once in 1920. A thirteen-year Boleyn gap followed. Then, in 1933, Anne Boleyn broke into talking pictures. An actress named Merle Oberon rocked the B necklace, and the movie world, when she appeared as Anne in Alexander Korda’s Oscar-winning Private Life of Henry VIII. 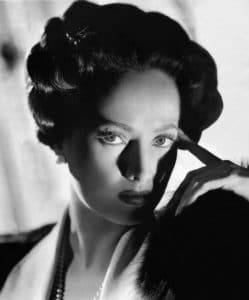 Merle Oberon, one of the glamour goddesses of the movies’ golden era, actually had quite a lot in common with Anne Boleyn, the woman she portrayed so memorably in only a few minutes of screen time. Anne Boleyn, of course, famously held out on Henry VIII until she was sure he would put a queen’s crown on her head. Merle also reckoned herself a queen, if somewhat more prosaically. 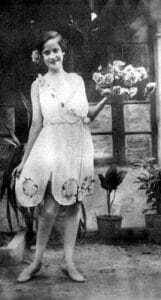 Born Estelle Merle O’Brien Thompson in 1911, she was known as ‘Queenie’ O’Brien during her childhood and during her early adult years, when she was variously a night club hostess, a wealthy man’s companion, and a bit part actress. Merle Oberon is probably most famous for her role as Kathy in Wuthering Heights. 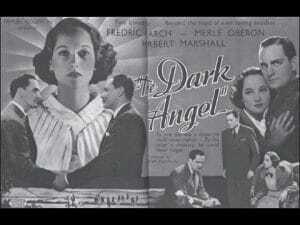 The Dark Angel, a World War I drama, was the 1935 film for which Oberon won her only Oscar nomination. The words ‘dark angel’ described Merle’s exotic brunette looks perfectly. The woman was, in fact, Eurasian, something which, in a time of less enlightened sensibilities than we have now, would have put paid to her film career, were it known. Merle spent a lifetime hiding the fact that she was born into a family of part-Eurasian, part-Maori blood in Bombay, India. Anne Boleyn was also a dark angel, with brunette good looks that, while irresistible to Henry VIII, were not typical of the English Rose appearance that was the prototype of beauty at the Tudor court. Anne’s French ways, a product of a youth spent at the French court, only added to her exotic quality. Merle Oberon likewise had a lot of family dysfunction to live down. Although raised by a woman named Charlotte Selby, Merle was actually the child of Charlotte’s twelve year old daughter, Constance, and Charlotte’s man of the moment, one Arthur Thompson. Merle always obfuscated about her origins, which would, in the first half of the twentieth century, have done considerable damage to her social standing and her career. When she was twenty-six or so years old, Anne Boleyn suffered from the sweating sickness, a plague prevalent in Tudor England and often deadly. Anne happily survived its depredations. At around the same age, Merle Oberon was involved in a very serious auto accident. She, too, survived her misfortune, but sustained significant facial scars. Marilyn Monroe is said to have made the above statement, but it is likely that Merle Oberon and Anne Boleyn would not have agreed. Both beauties were said to have imperfections that they went to great lengths to hide. A late 16th century writer described Anne has having a sixth finger on one of her hands and a swelling on her neck. Although this description is taken with a huge pinch of salt by modern historians, a contemporary did describe her as “Not one of the handsomest women in the world”. Merle Oberon, as has already been mentioned, had a car accident in 1937 that caused considerable facial injury and scarring. She may also have had an allergic reaction to makeup that caused further skin damage years later. As a result of these unfortunate occurrences, Merle had to be very carefully and heavily made up, and very carefully lit, when filmed. In the movies’ early days, cinematographers worked in black and white, and were experts in using light and shadow. They were able to effectively hide any of Merle’s imperfections; she always appeared the ideal, dewy-eyed beauty on screen. Oberon’s second husband, cinematographer Lucien Ballard, invented a light to use specifically to light Oberon’s face. It has gone down in history as the Obie light, and it highlighted and emphasized Oberon’s glowing eyes. 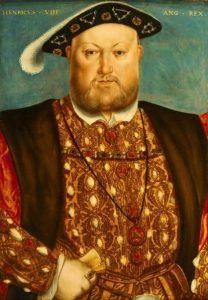 We all know which Big Man Anne Boleyn had the fortune, or misfortune, to captivate: Henry VIII, the man who ruled England. 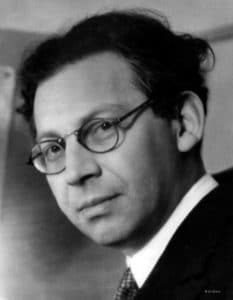 In the 1930s, the man who ruled Merle Oberon’s world of British cinema was mega-producer Alexander Korda. He is said to have noticed the enchanting Merle while she was standing in a movie studio tea line; he cast her as Anne Boleyn in The Private Life of Henry VIII, and eventually married her. The two were wed from 1939-1945; he was the first of Merle’s four husbands. Henry VIII’s Great Matter was his divorce from Katharine of Aragon, preparatory to marrying Anne Boleyn. Although he eventually achieved his end, Henry’s Great Matter proved disastrous to his reputation and to the lives of many who were involved in it, including Anne Boleyn, Thomas Wolsey, and Thomas More. Alexander Korda’s Great Matter, in 1937, was a planned filming of Robert Graves’ epic I Claudius. It has gone down in history as one of the greatest films never made; like Henry’s undertaking, Korda’s I Claudius was also plagued by disaster, and the production was eventually shelved. Involved in the project were movie greats Joseph Von Sternberg, Charles Laughton, Flora Robson, Emlyn Williams, and, of course, Merle Oberon. 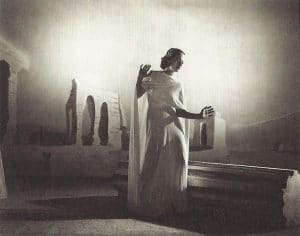 Legend has it that it was Oberon’s serious car accident in 1937 that was the final nail in the film’s coffin; Oberon was to have starred in the film as the scheming and licentious Messalina, but her accident precluded this. In yet another Oberon-Boleyn coincidence, Alison Weir notes that Eustace Chapuys, the Spanish Ambassador to Henry VIII’s court, was known to refer to Anne Boleyn as ‘The English Messalina’. If you’d like to see Merle Oberon as Anne Boleyn, check out The Private Life of Henry VIII. If a full on 1930s flick is not up your street, check out this You-tube clip of Oberon playing Boleyn’s death scene. We think Anne Boleyn would have been proud. 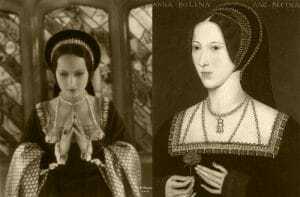 Mary Boleyn – Was she really the Mistress of Francis I? Eventually, JoAnn read just about every spin there was on the stories of Henry VIII and the extended Tudor family. Every spin, that is, except the one with the gallows humor. The Tudors certainly qualified for it, but it just wasn’t out there. JoAnn decided that with gallows humor to spare, she would do her best to remedy the Tudor comedy gap. A little inspiration from the classic “Wizard of Oz” showed her the way to go, and “Six of One”, a new kind of Tudor novel, was born. JoAnn thought “Six of One”, her story about Henry VIII’s six wives, would be an only literary child. Then, two years after its birth, she was caught by surprise with the idea for a sequel. In October, 2015, “Seven Will Out” made its debut and bought the latter-day Tudors into the comedy mix. Click here to read my reviews of JoAnn’s novels, which are both rip-roaring reads. Loved this. Merle Oberon was a great actress. She played George Sands in A Song to Remember. I believe Merle referred to her mother Constance as her maid. Loved the film clip. Anne Boleyn would have been proud. I have often wondered what part of Henry thought about sending for the swordsman. It was an act of mercy? £25 was a lot of money. Thanks for a great article. Glad you enjoyed it. I am going to look up ‘A Song to Remember’! Thanks for showing that clip Claire I really enjoyed it, I remember the film ‘The Private Life Of Henry V111’ with Charles Laughton rather vaguely, in it he portrayed Henry as guzzling on a load of chicken legs and throwing the bones over his shoulder to his dogs, I remember catching a glimpse of Merle and being disappointed because the only scene she played was her execution and Laughtons wife Elsa Lancaster played Anne of Cleve’s and at the end it showed them cosseted together with Henry saying she was the best wife of all of them, Lancaster kept saying ‘ya’ in a fake German accent, I hope it’s shown on tv soon as now I really want to see it again, Oberon was really a beautiful girl with the sort of beauty that comes to those of mixed foreign blood I never knew she was married to Korda who did make some wonderful films, one of my favourites is ‘The Thief Of Baghdad’, and of course ‘The Jungle Book’. Hi Christine, always this mix of accurate notices and humoristic points . You are right, Merle Oberon is mythic. Her exotic appearance has to do with what Anne Boleyn’s looks might indeed have provoked by persons seeing her . 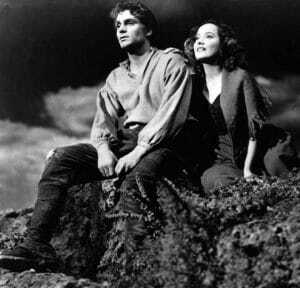 I think Merle’s dream-like quality is the reason she was so perfect in ‘Wuthering Heights’. Her sexier side shows up well in ‘The Lodger’. I love the Korda films too, as well as the Powell and Pressburger films. Enjoyed the article. also enjoyed the clip–I didn’t realise that Merle was Anne in this film until now. I really only remember Charles Laughton as Henry. Her best role for me was Kathy in Wuthering Heights…….hated most of the film but loved Merle as Kathy. I like Merle in ‘The Lodger’; a different side of her entirely. I hadn’t realised I Claudius was so old..My Latin teacher lent me both books back in 1980 when I was 16. But I loved the very stereo-typical Frenchman executioner. I read the Claudius books back in the day, too. The miniseries from the 80s (I think it was the 80s) was awesome as well, Derek Jacobi played Claudius. I’m so glad that Merle Oberon’s interpretation of Anne Boleyn, brief as it is, is getting some attention. I was enthralled by it when I was young, and always associated her with this role. I remember reading in a biography of Oberon that, following her break-out performance in The Private Life of Henry VIII, she placed a copy of the famous National Gallery portrait of Anne Boleyn on the wall of her London apartment. She wanted to play Katherine of Aragon in Anne of the Thousand Days, I understand, but was not considered in the running. That bit of trivia about Merle and Anne of the Thousand Days is very interesting, thank you for sharing it!